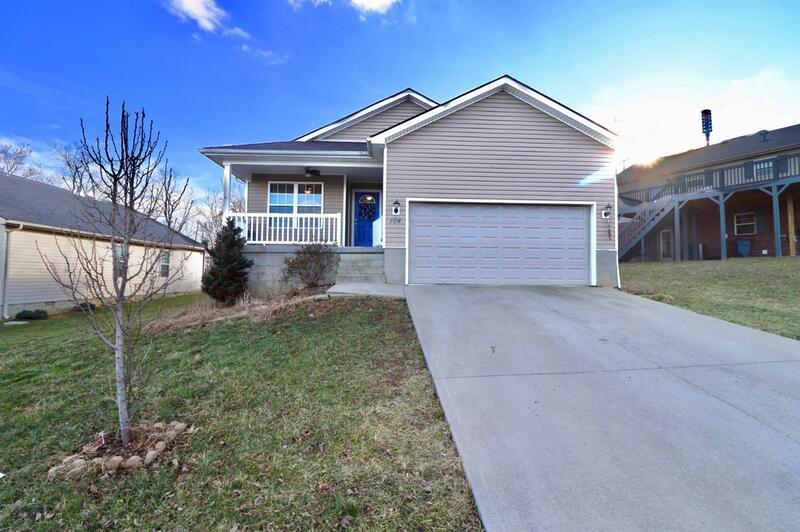 Location Location Location...Welcome Home, to this cute Open-Floor-Plan home located near The Kentucky Artisan Center At Berea, I-75, Highway 25, hiking at the Pinnacles, Boone Tavern, downtown Berea home of Berea College and a thriving Art community. Built in 2013 with 3 bedrooms and 2 full bathroom. Attached 2 car garage, good size covered front porch and with a rear deck, privacy fenced backyard, tall almost walk in height crawl space. Who could not appreciate having an actual roomy utility room. Over-sized Master Bedroom with walk-in closet and full bathroom. None of the bedrooms are near each other, each open off the Great-room on different walls, which is nice for privacy. This home will put you close to all of the events and festivities that happen year round in the Berea area, one of most popular is The Spoon Bread Festival in the Fall. Welcome Home!